Each apartment features today’s modern conveniences in an old-school setting. 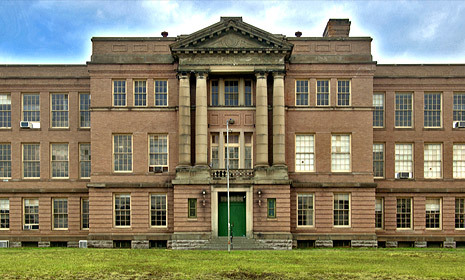 The neo-classical revival architecture has been preserved as well as most of the original 1910 classroom windows and woodwork. Living in this historic Northside landmark is the most unique living space in Cincinnati.